Saved searches is an excellent feature to use in your Mattermark account. Your knee-jerk reaction may be “Why wouldn’t you just re-enter your search every time?” Well, in the past 12 months, there have been 1,175 late stage fundings in the United States. If you want to keep track of late stage companies because they those are your target customers or investment opportunities, that’s an average of 23 per week. That is a lot to keep track of. Why not automate this? Currently most professionals we talk to either read blogs like Techcrunch or newsletters like Fortune’s Term Sheet or Crunchbase Daily to keep track of financings. However, those sources are not targeted to the customer’s ideal prospect profile. 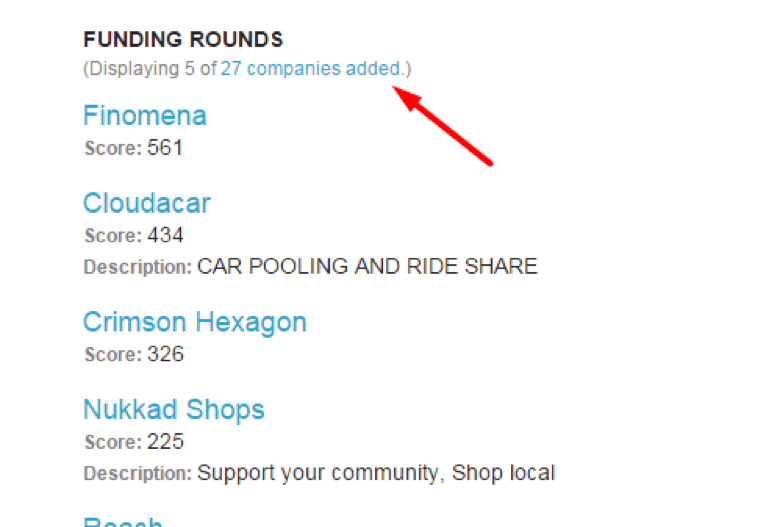 Additionally, with so many financings it can be hard to keep track of them all. Select the filters you would like to use based on your ideal target prospect criteria. For this example, we selected companies in the United States at the Series B, C or Late Stage. 2. Save the search to essentially create a smart list. 3. Use the default Saved Search name or customize it with your own name. 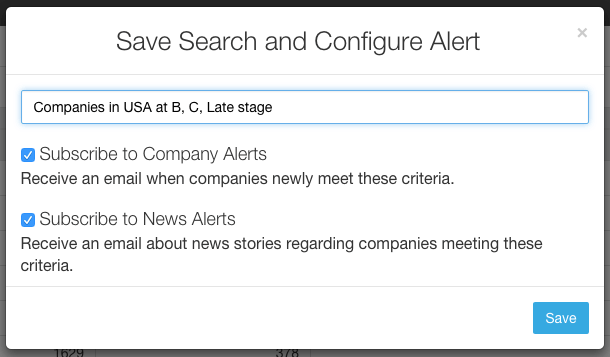 You can select whether you want to subscribe to Company Alerts and/ or subscribe to News Alerts about the companies in the Saved Search. 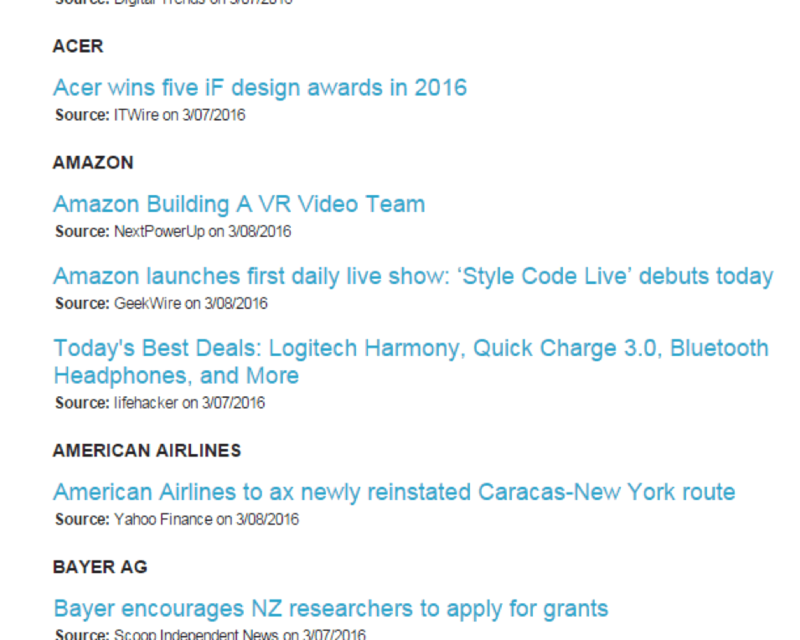 Choosing to receive Company and/ or News Alerts means that as companies are added to the smart list, you will get an email alert. And that’s it. The next few months are packed with more exciting features to help you see and talk to users of your apps and visitors on your website- stay tuned! Until then, feel free to ask questions in the comments below, send us a message in Intercom, or on our website via the Intercom Messenger. You can let Mattermark Pro do all the hard work for you. Are you a current customer and have additional questions? Contact our Customer Success Team.